It looks like the so-called ‘Project Fear’ campaign has failed in its quest to force referendum after referendum until they got the answer they wanted (which to observers, seemed they wanted to stay in the European Union at any cost) and that Brexit will occur on March 30, 2019 as planned. All that remains to be decided between the UK and the EU is whether future relations will be based on World Trade Organisation rules, or on a bilateral trade agreement that allows both sides to prosper while maintaining a reasonable level of protection for national sovereignty, for their respective economies, and is able to shelter startups or other businesses that may require some form of special treatment or protection. Either UK and EU leaders are up to the task, or they’re not. We’ll soon know. And if they aren’t up to the task, every one of them deserves to get the boot at the next election. Of paramount importance for the UK are free trade agreements with its Commonwealth partners — agreements that automatically come into effect within 24 hours of the official Brexit date. It’s important to begin with Commonwealth trading partners because if Commonwealth nations aren’t willing to sign bilateral trade agreements with the UK, why would other countries want trade deals with the UK? Yesterday, Australia’s Prime Minister generously indicated his country will sign a bilateral trade agreement to automatically come into effect the day after Brexit, and New Zealand, Canada, India, and other Commonwealth nations have indicated they’re open to bilateral trade agreements with the UK too. Therefore, it isn’t a reach to suggest that such agreements be ready for a signing ceremony the day after Brexit and that UK foreign direct investment (FDI) in those countries will thenceforth take an instant leap forward. The time to get such negotiations done is NOW so that a simultaneous signing ceremony can be televised across each of the Commonwealth’s 53 capital cities at 00:01 (in the UK timezone) on March 30, 2019. What a tribute to enduring relations between Commonwealth members. Such a historic moment! No later than 24-hours after Brexit (which puts us at March 31, 2019) the UK should have free trade agreements automatically coming into effect with every economy in the world — agreements that work for each country just as well as they work for the UK. ‘Win-Lose’ thinking is no longer an option in the 21st century and anything less than ‘Win-Win’ isn’t worth spit. In fact, unless trade agreements are ‘Win-Win-Win’ these days, their value is questionable. If the UK offers a ‘Win-Win’ trade agreement to China, but Japan offers a ‘Win-Win-Win’ trade agreement to China; Which of the two countries will be China’s most favoured trading partner? Obviously, Japan’s offer would win, and the UK offer would simply gather dust as Japan’s relationship with China surged forward. These negotiations must occur NOW and be led with a high level of urgency by Prime Minister Theresa May and Secretary of State for International Trade Dr. Liam Fox, so that by April 1, 2019 the UK will have bilateral trade deals with every country in the world — that automatically come into effect the day after the official Brexit date. Anything less than that stellar achievement should be considered by UK voters to be a mediocre performance by the (then) ruling party in the UK House of Commons. 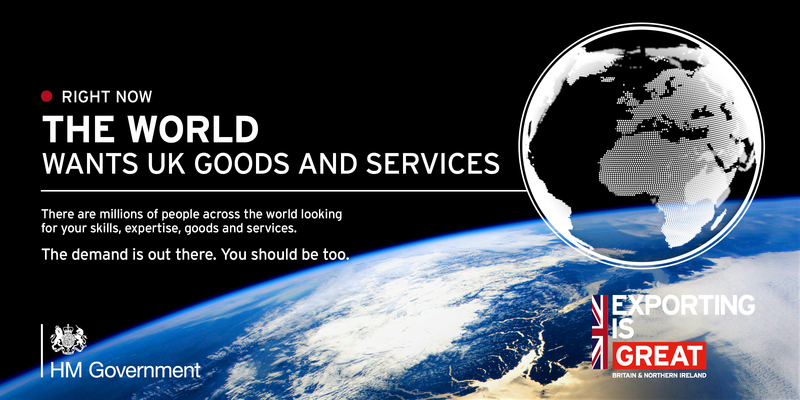 The world wants quality UK goods and services both now and in the post Brexit era. By Letter to Britain in Brexit, International Trade, UK on April 7, 2018 . I seem to have misplaced my notes. I came across an article online regarding trade between the UK and Senegal, a Francophone country in Western Africa. As I recall the article was from the year 2010. It indicated that, in terms of volume of trade, the UK has become the 2nd most important trading partner for Senegal. From what I can tell from the Wikipedia article, the economy of Senegal complements the British economy. As you recall, this was a reason why Martin Hutchinson was enthusiastic about the Pacific Alliance. Senegal may be a minor part of British trade, but the country may be a sort of prototype for promising trade partners. Of such trading arrangements, the UK can’t have enough. If a high level of trade and a high level of engagement occurs between the UK and 100 countries, then The Commonwealth will become a 100-member club. From what I can tell from the Wikipedia article, Ghana is another country with a complementary economy. As I recall, Ghana is one of the countries which has sought a trade deal with Brexit Britain. A number of African countries seem to be possibilities. Of course, trade deals with specific countries would depend on the politics involved. My view on this is that (hopefully) many such countries will want trade deals with the UK in the immediate post-Brexit timeframe. It is further my hope that countries like Ghana want to become Commonwealth members after some experience with the UK and Commonwealth. The better Commonwealth membership works for present-day member nations, the more likely it is that more nations will join. BTW, Brexit day is now 345 days away!